There is nothing better than sitting outside with friends and family (and newly-found neighbors), drinking some suds, and cooking up some tasty food while waiting for the big game to get going. 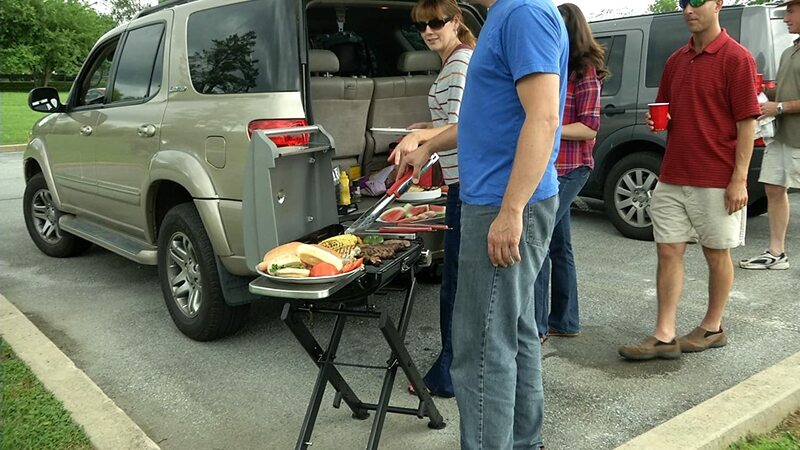 Tailgating can be extremely fun, and it can be an adventure in all sorts of weather. Fans build camaraderie, share food and stories, and make new friends before heading in to watch an exciting game. Tailgating outside the game on a portable gas grill. There are a variety of factors to consider when deciding which is the best gas grill for your tailgating needs, such as the size of the grill, how small it packs down, ease of use, height of the unit, and included extra table/stand space. In this article, we will look at several of the options in the portable gas grill market with an eye to which ones would be best suited for tailgating.